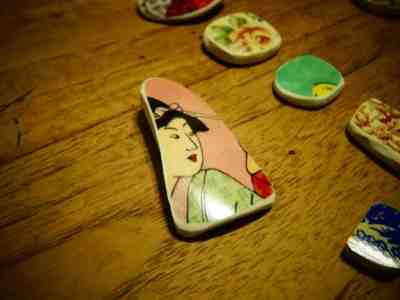 This afternoon I ratted through the box of broken china and fished out any pieces that I thought worthy of saving. Then I set to and cut and shaped them. The result ? Well have a squizz below - a whole bunch of pretties just waiting to be strung together. Now that my friends is job satisfaction! What a gorgeous selection of china Sue. I too love using them in my jewellery, they add another dimension. 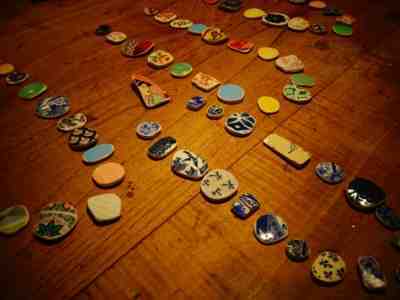 I am the proud owner of some of your china bits Ro! It is getting hard to find the stuff these days ... There is an awful lot of white china in the world don't you think? 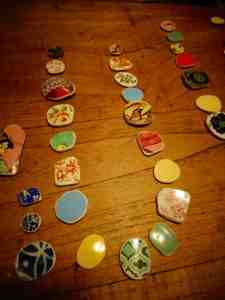 OK I know there is no need to shout but its also a very long time since you have heard from me.....just been catching up on all your blog posts and I have to say that these china bits will make a gorgeous necklace. Hope you make lots of them! Yay, back on the blog! Sir, very v usefull the website deliver me theVideo thangs.